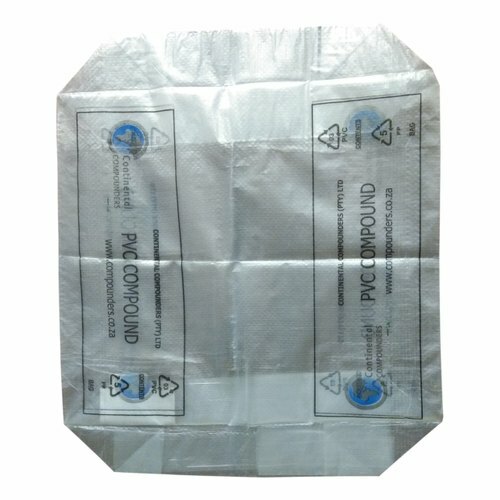 We are popular among our customer for manufacturing quality Block Bottom Valve Polymer Bags. These bags are manufactured By using high-grade of raw materials. These bags are Perforated Bag to ensure Good Breathing ability. we are supply this kind of bag as per customer's requirement. Bubna Exim Trading Co. was Incorporated in the year 1985 as a leading exporter, trader and supplier of PP & HDPE Woven Products & Fabrics including PP And HDPE Woven Bags, Gusseted Bags, BOPP Laminated Bags, Industrial Tarpaulins & Multi Color Printed Bags and many others. This Proprietorship Firm is striving hard to achieve all the company goals and catering the clients’ diverse requirements sufficiently. The products we offer in industry are procured from some certified and legal vendors of the industry, who have got years of experience in their respective fields. Our products are widely demanded and praised among the clients for their smooth finishing, optimum strength, light weight and eco-friendly nature. In order to ensure the reliability and flawlessness of the products, our quality inspectors stringently test every product on well defined quality parameters. Our sound infrastructure facilities and well trained professionals, help us in delivering the products within the prescribed time frame. Clients can avail our range at most affordable rates in market. The range of major areas covered by us through standard quality products include South Africa, Canada and Latin America, USA, Britain, Tanzania, Middle East, Mozambique, Sudan, America, and Spain.